The regenerating blend of organic aloe vera with ylang ylang and patchouli helps to revive skin. 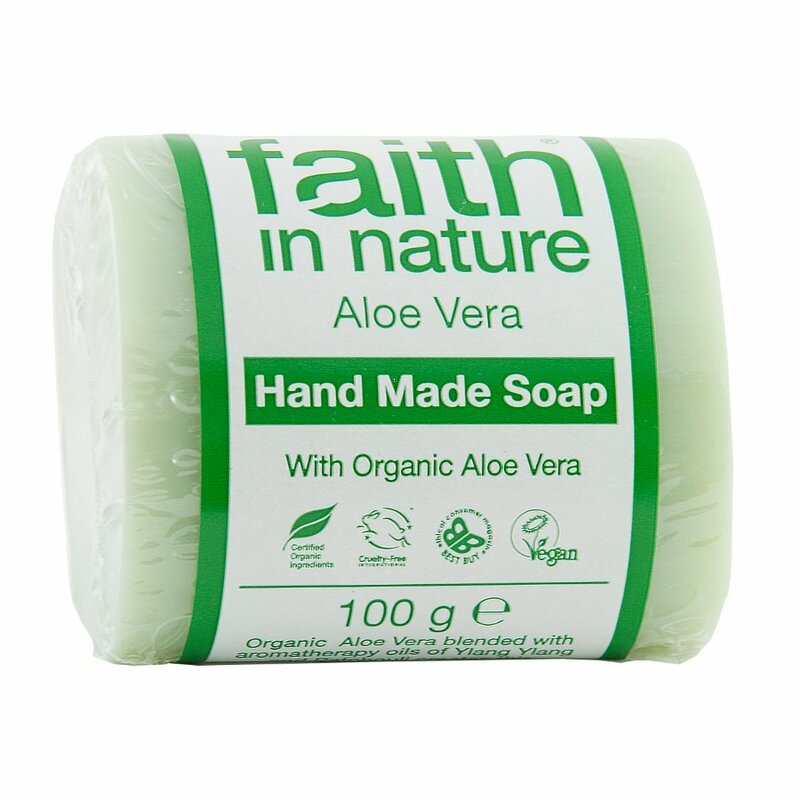 Soothing and aromatic, this vegetable soap from Faith in Nature has a low pH to gentle cleanse and tone your skin, without drying it out. 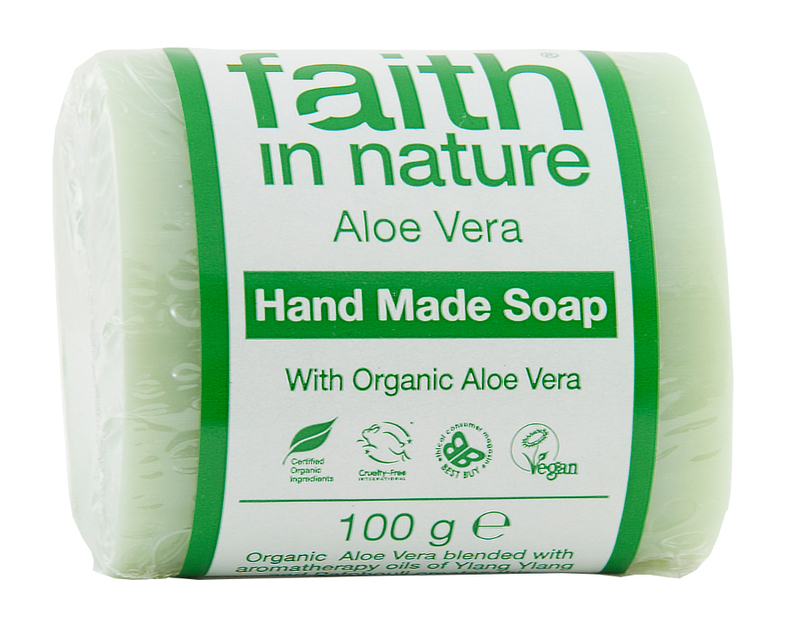 The Faith in Nature Aloe Vera & Ylang Ylang Soap - 100g product ethics are indicated below. To learn more about these product ethics and to see related products, follow the links below. Use at hand basin mainly. Great quality, very nice smelling, non-drying to skin, not tested on animals. Recommend to vegans and vegetarians and anyone who cares about animal welfare.